It’s exciting to look forward to starting something new, and so I’m counting the days (17!) until I get to start painting with a new group of watercolour lovers. Are you one of them? A dozen ways to stretch your creativity. Watercolour Workout is an online course that I created to strengthen creativity and help me paint more confidently and fearlessly. Yes, help ME paint. Whenever I make a course, I start out by asking myself, “What do I want this course to do?” and with Watercolour Workout, it was especially apt, because the video lessons in the course are focused on creativity over technique, and style over academics. Stuff every artistneeds in the quest to develop a personal artistic style. From February 4-25th, you can work through the lessons in Watercolour Workout with me. 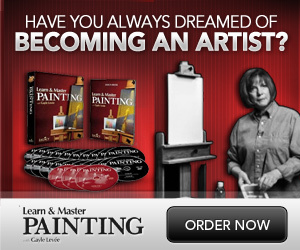 In the course, you’ll receive a dozen exercises to help you think outside the box and paint more freely. The interactive portion of the course provides you with a learning community; discussion group, a place to post your art for feedback and guidance, coaching and encouragement from me and the rest of the class. I like to call it the “next best thing” to learning in person, but some people actually prefer an online course since you can paint in the comfort of your home, at a time that suits you, without the self-conscious feeling of another class attendee looking over your shoulder! Follow this link to enroll in the course!